An anonymous quote on Instagram perfectly sums up the feelings of the controversy surrounding the NFL/NBA and the National Anthem. 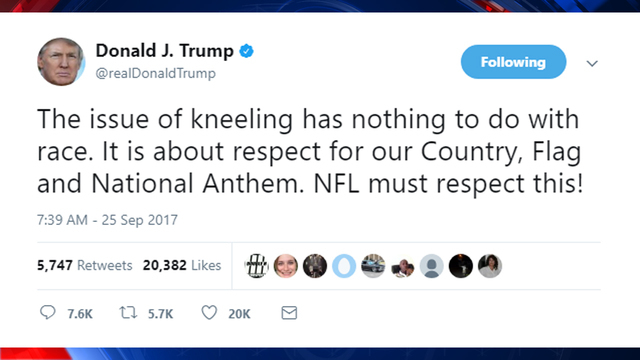 The reason that Colin Kaepernick took a knee in the first place is getting lost in the media in and has become fuel to continuously gas Trump’s ignorance and his ego. #Takeaknee has always been about race. 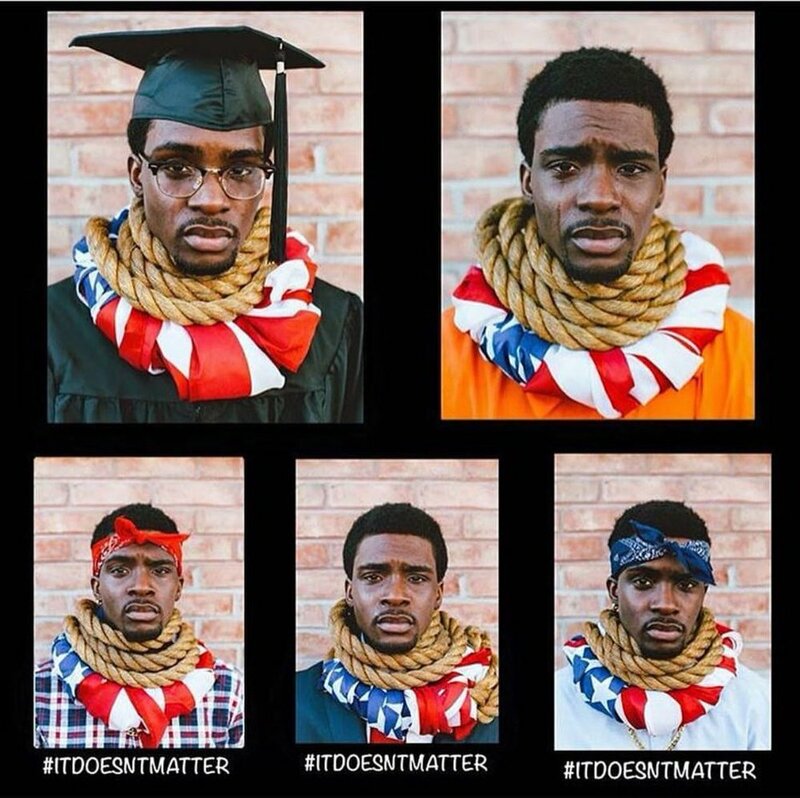 It’s a silent protest, for those innocent Black Lives taken at the hands of police brutality. Clearly Black people cannot peacefully protest in the streets without being attacked by heavily armed officers, so they’re taking it to the big field, on the big screen. I said it before and I’ll say it again. The revolution will be televised. American football and basketball are among the sports that “make America, America,” and its loved and watched by everyone of all races, ethnicities, genders and ages, but what America seems to forget is the demographics of these “great American” teams. According to VICE, “African-American males are only six percent of the United States population, but comprise nearly 70 percent of the players in the National Football League.” …. The question is, how is it that the NFL and the NBA profit so heavily from these Black men, but will not stand for them in a time of blatant and frequent injustice toward them ? Specifically, why hasn’t the NFL addressed the issue of unarmed black men being killed by law enforcement? #TakeaKnee is a protest of social injustice. We have seen it before, and sadly enough it has not changed since the 60s. Muhammad Ali protest the Vietnam War by refusing to enlist. 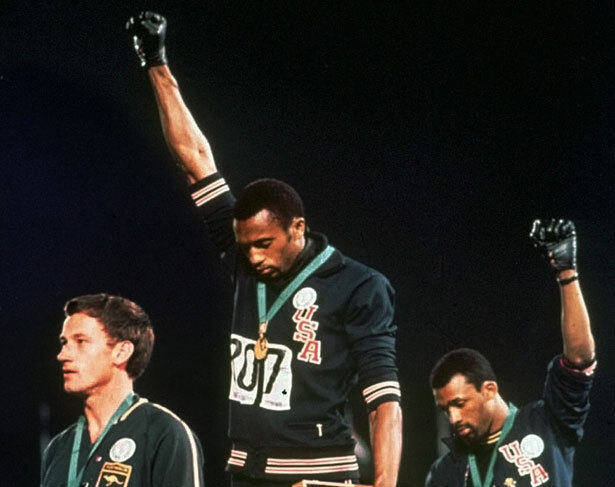 Tommie Smith and John Carlos at the Olympics in Mexico City raised the Black Power fist for unity and to stand against racism. In the 70s Jackie Robinson refused to stand for the National Anthem. Fast forward to now, the WNBA and NBA teams broke dress code to stand by the #BlackLivesMatter movement with various #BlackLivesMatter shirts. These athletes are using their given platform to draw more attention to the social injustices and voice their opinions. Racism for Americans is like herpes, it’s been in the system of America for hundreds of years and while it’s usually dormant it never goes away, and every so often it does rear its ugly head. When it does surface it’s a hideous blister that you can try to hide but it’s disgusting and there it's visible for everyone to see. Why stand for a National Anthem or pledge allegiance to a flag that does not stand for or represent you ? The true colors of America are being shown and Americans are doing their damnedest to hide the colors and paint things as Black and White, or act completely shocked that Racism is at the root of this country. It’s the foundation in which the Founding Fathers “built” this country, on the backs of the slaves over the dead bodies of the Natives, excluding the very people included in the laboring of this country.